PrimaryControl is presenting a new bearing technology, the world’s first field coil loaded unipivot tonearm. This technique provides high torsional stability and a low moment of inertia for the tonearm. Bearing chatter, caused by energy transfer in the unipivot bearing, is eliminated. 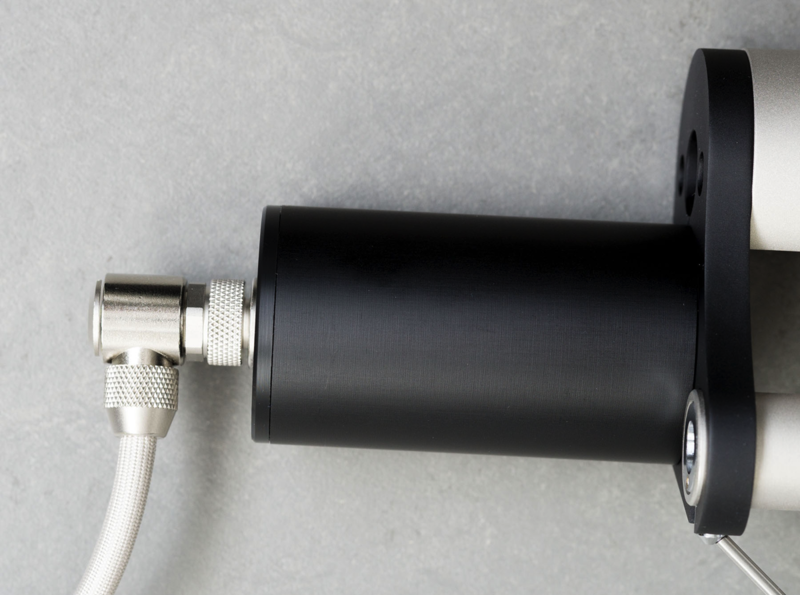 In combination with the new developed ultra low resonance armwand, it leads to a fine detail reproduction and a sonically performance unmatched by any other unipivot tonearm design. 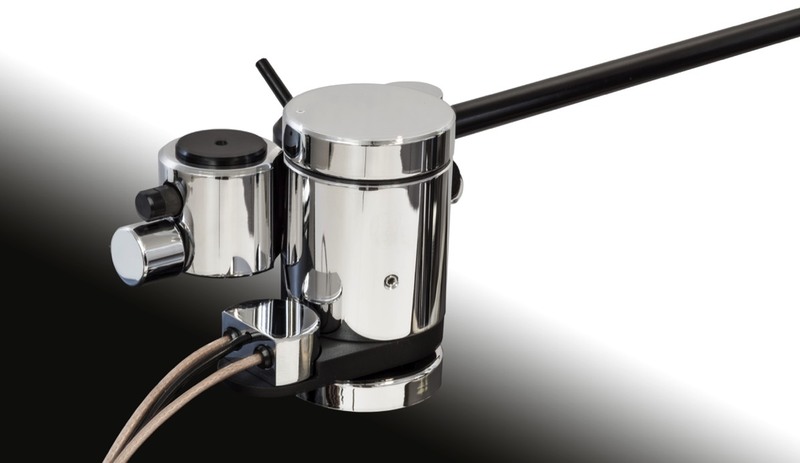 Side view of the FCL Tonearm. The position of the magnetic anti-skating device is adjustable and unlike many other anti-skating devices not depending on the mounting position of the tonearm. The anti-skating force takes account with the dynamic character of the skating force over the radius of the record. 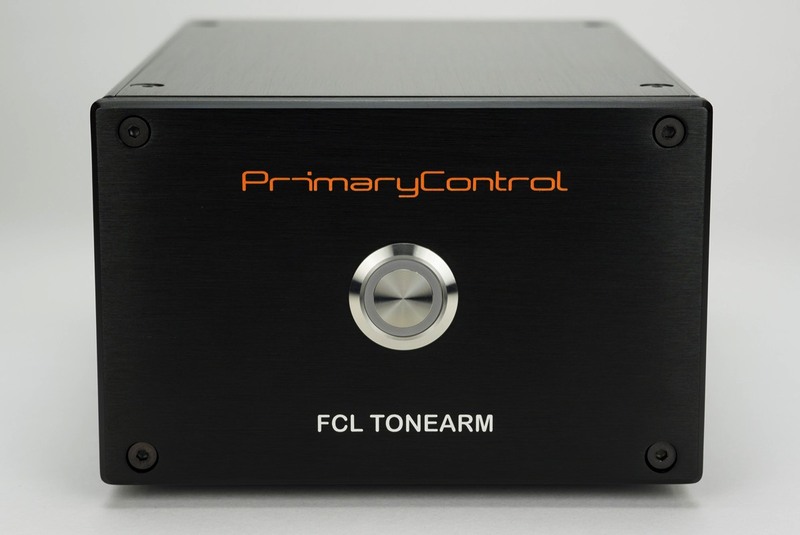 Bottom view of the FCL Tonearm. 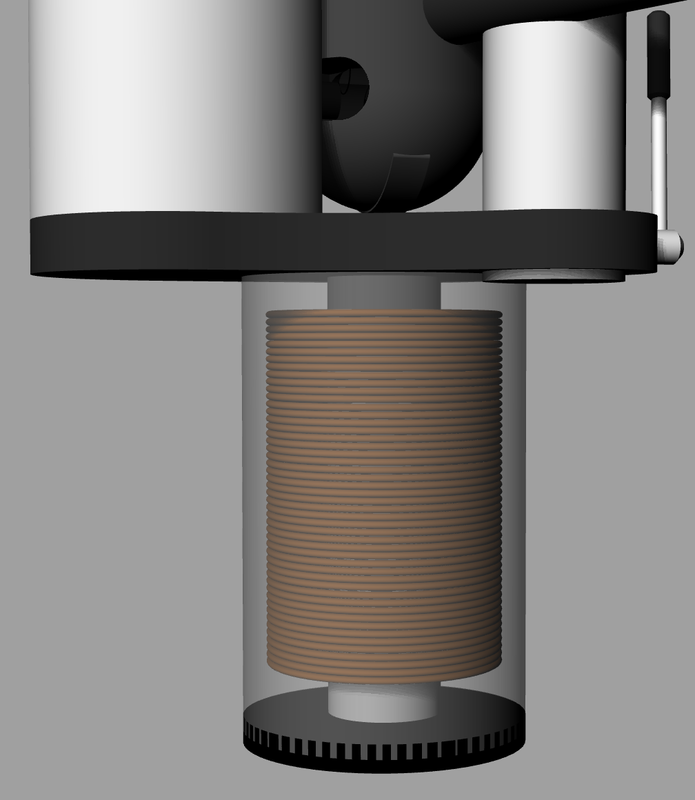 The field coil is connected to the CCS Regulator. A sketch of the field coil and the pure iron core. The field coil, the special formed counter magnet and the CCS regulator provide the base for the stabilized unipivot bearing. The field coil also functions as a sensor for unwanted torsional movements. The constant currency source compensates field variations in real time and keeps the magnetic field stable. The constant currency source regulator provides the power for the field coil. It keeps the currency and though the magnetic field under all circumstances stable.